Coding skills are in high demand in a broad range of careers, not just for programmers. Coding skills could be valuable to people working with information technology (IT), data analytics, design, marketing, business, engineering, and science, to mention a few. As the coding jobs grow faster than the job market, to learn how to code could be considered as one of the most useful skills to obtain in today’s world. Data analysts use computer programming to analyse data and to solve problems in business and finance, while designers use it to design websites and physical products. Other professions, such as engineers use coding to test products and solve technical problems, and in IT computer programming is used to build computer networks. Further, scientists use coding to analyse the results of their experiments. These are just some examples of career tracks where the employee often is expected to be able to use coding. In fact, coding skills provide an avenue to high-income jobs because coding jobs pay better on average. 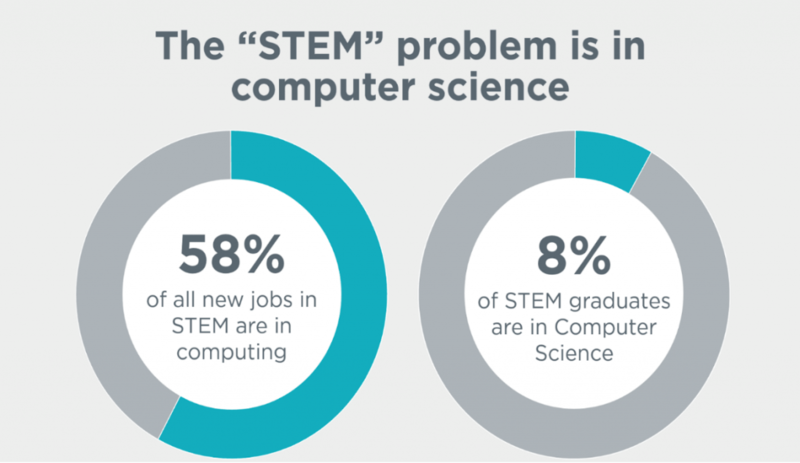 As the computing jobs are growing, the need for people with coding skills increases. It’s estimated that 65% of children entering primary school today will work in new jobs that don’t yet exists and that many of these jobs are likely to involve coding. To develop coding skills at an early age is associated with lower costs and longer lasting effects compared to interventions that start later. Children who are exposed to STEM curriculum and computer programming in early childhood do also demonstrate fewer gender-based stereotypes regarding STEM careers. This could positively impact the current gender-gap in coding since stereotypes are considered one of the main reasons why women do not choose a career in computer science. Furthermore, early childhood education in coding could engage children in problem-solving, imagination and cognitive challenges. We have compiled a list of high-quality resources that you can use to teach your kids how to code. An education in computer science gives you a foundation that you can take with you in a range of different careers and be sure to get a reliable job.